And the ride goes on - now it's getting serious! We leave Western Europe behind, and enter Slovenia, Croatia, and a very brief foray into Bosnia. This is a full exploration of the Dalmatian Coast and promises to be another epic adventure in this series! A full 6 days of cycling will see us leave Western Europe behind, and tackling the Dalmatian Coast. We shall head via Trieste before crossing the Istrian Peninsula (Croatia) touching into Slovenia, before returning once again into Croatia. As we head south we shall be experiencing a true cultural shift into Slavic lands. The terrain is expected to be undulating, down the Dalmatian Coast - but without the epic mountains of the Alps. Bring your swimming gear - as we shall often be beside the sea (lunches and evenings!) - reserve your space now for a ride of a lifetime! Day 7 - Cycle from Ploce to Dubrovnik - Distance approx 105km - evening celebrations of another 3 countries in our epic bike challenge, and time to explore this fascinating and historic city. Day 8 - Easy morning and return flight home. Will be in comfortable hotels throughout the event (including buffet breakfasts). The standard of accommodation will fluctuate throughout the trip - but is designed to be functional - and to enable us to get a good night's sleep - and continue with the challenge. You will be sharing in twins or triples. If you require a single room then please request this at time of booking (a supplement will be payable). Upgrades are also available for an extra charge if required. 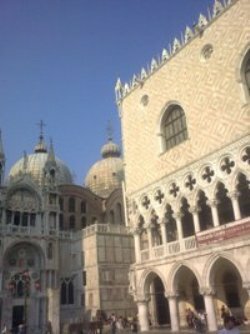 This trip includes one night in Venice prior to the ride, and the night at the end of the ride in Dubrovnik. Cycle mechanic inc tools and spares. Transfer to and from airports (n.b. we can speak to our hotels about arranging transfers). We hope to experience some pleasant Mediterranean warm weather - although, as ever, be prepared for all kinds! Typical weather stats for Dubrovnik and Venice in September suggest average daily maximam of between 22 and 25 degrees.